Orthopaedic surgeon Janne Sarimo specializes in knee, Achilles tendon and hamstring injuries. 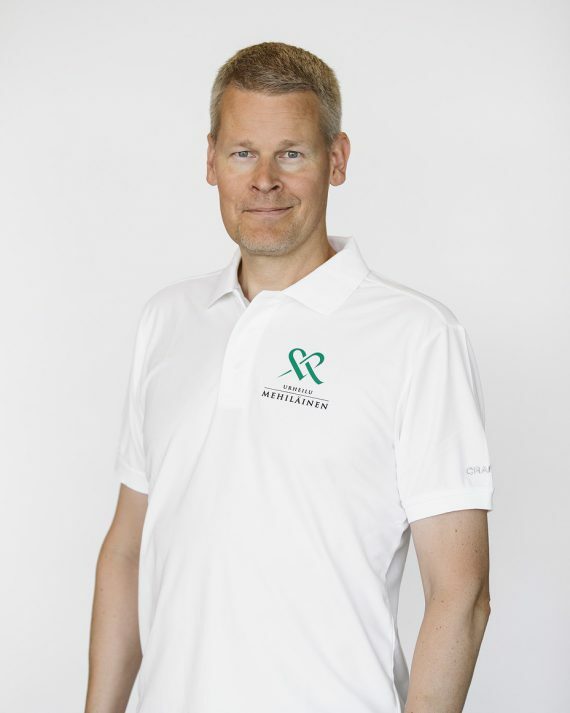 Mehiläinen Neo Sports Hospital’s orthopaedic surgeon Janne Sarimo is an Associate Professor of orthopaedic sports medicine at Turku University. He carried out his doctoral thesis on knee injuries. “What I appreciate about surgery is being able to work with my hands. I became interested in orthopaedics through my long-standing, active involvement in sports. I primarily research knee injuries and injuries to the Achilles tendon and hamstring. I conduct my research work outside of my regular work hours at the hospital, but I don’t count the hours. I believe researching injuries is very close in nature to clinical work, and it’s also a major motivating factor when treating patients,” Sarimo says. For Sarimo, two of the most basic characteristics of a good doctor are being a good listener and asking the right questions. “Some injuries are plainly obvious after the patient has described their symptoms in just one or two sentences. But symptoms can vary, and people experience them in very different ways. The starting point for treatment has to be the patient: you can’t make a diagnosis simply on the basis of what is written on paper. Good treatment is customer service, which means one-on-one and personalised attention,” stresses Sarimo. Sarimo began working alongside Sakari Orava as one of his protégés in the late 1990s. Orava also supervised Sarimo’s 2003 doctoral dissertation together with Jussi Rantanen. Sarimo has himself supervised a doctoral dissertation together with Orava. 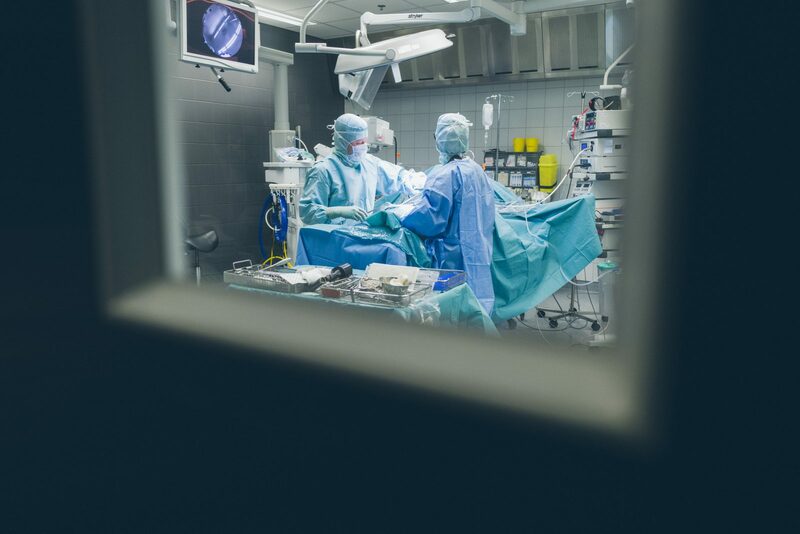 “Many of Mehiläinen Neo’s orthopaedic surgeons have known each other and worked together for a long time. It’s great to have so many experienced colleagues with different areas of specialisation. We learn a lot from each other. We have a nice work community where we communicate a lot and often perform surgeries together,” Sarimo says. “I have learned a lot from everyone at Mehiläinen Neo Sports Hospital, but I have to say that Sakari has taught me the most. I have very detailed notes and sketches of, for example, surgery conducted on rarer injuries that I was able to be part of with Sakari. It is harder to find information on such operations in medical publications, because we don’t encounter them so often in our patient work,” he explains. Janne Sarimo was born in 1969 in Buffalo, New York, while his parents lived in the USA for three years for his father, who worked in biochemistry, to conduct research there. When the family returned to Finland, they initially settled in Turku. Sarimo had his schooling in Raisio, nearby Turku, and eventually graduated from Turku University’s Medical School in 1996. He made the move to private medical practice at the start of 2005. Prior to that, he worked at Turku City Surgical Hospital and Turku University Hospital, among other places. He has worked at the Mehiläinen Neo Sports Hospital since its establishment and he now heads the hospital’s knee team in Turku together with Jussi Rantanen. Sarimo’s special area of interest is orthopaedic sports medicine of the lower limb, knee and Achilles tendon. He has also been a regular on the sidelines of national and junior league ice hockey games, as well as basketball courts and soccer fields in southwest Finland. Sarimo is also an orthopaedic consultant for various sports clubs, such as ice hockey teams in the Finnish Elite League. “You can really learn a lot just by being on the sidelines during actual games, as it gives you the chance to follow an athlete during their regular day and see how their injuries occur,” says Sarimo. Sarimo has focused on problems in the lower extremities – typically knee, hamstring and Achilles tendon injuries. According to him, Achilles tendinopathy, for example, is a growing problem, for not entirely clear reasons. Patients who suffer from this type of injury are treated at Mehiläinen Neo, and the hospital also conducts active research on the condition. “The symptoms include tendon pain, particularly after exertion, and stiffness, which may typically appear in the morning. Tendinopathy has generally been considered an injury caused by excessive strain, but it may also appear in people who are not physically active or who do not carry out particularly strenuous or physical work. It may well be that the increase in this type of injury is related to the ageing of the population and to the maintenance of a more active lifestyle at later stages in life,” Sarimo explains.